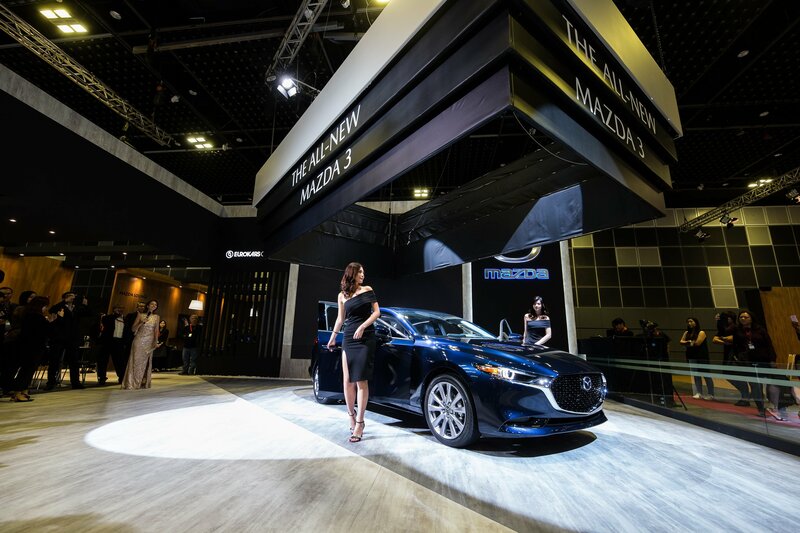 After having made its global debut at the Los Angeles Auto Show in November 2018, the highly anticipated all-new Mazda3 was officially unveiled for the first time in the ASEAN region. 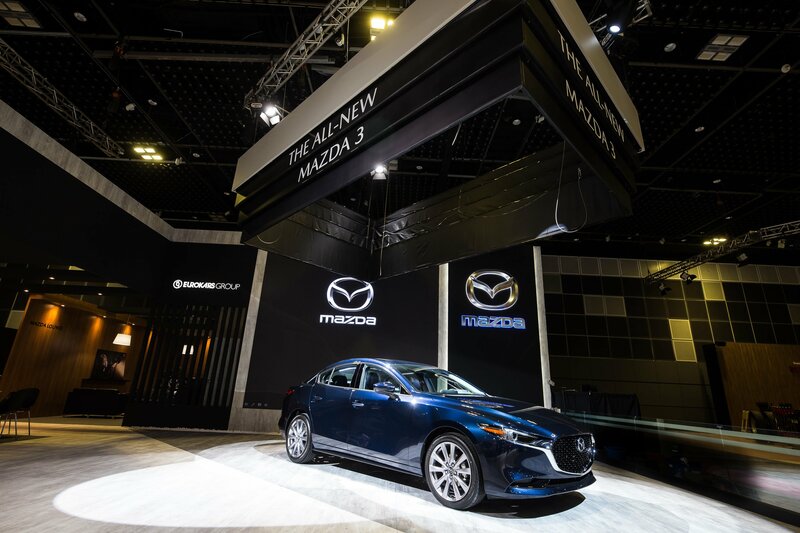 The preview of the all-new Mazda3 was jointly presented by Eurokars Group and Mazda Motor Corporation at the Singapore Motorshow 2019, which took place from 10 to 13 January at the Suntec Singapore Convention & Exhibition Centre. 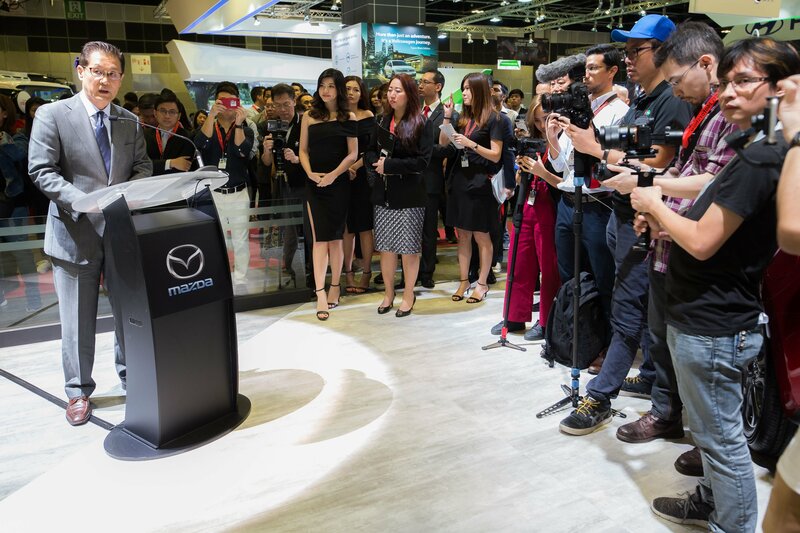 “It gives us great pleasure to partner Mazda Motor Corporation to unveil and exhibit this fully redesigned model which not only embodies and represents the next generation of Mazda cars, but also heralds an exciting new era for Mazda. The all-new Mazda3 epitomises the best of Mazda’s brand values – superior design, innovative human-centric technologies, dynamic performance and unprecedented quality. It affirms Mazda’s aim to make Mazda Premium a reality by gaining customers’ trust and becoming an essential part of their lives through pursuing and refining the distinctive driving pleasure that is unique to the Mazda brand. Eurokars Group shares the same vision to enhance the value of the car ownership experience and build strong bonds with our customers,” said Mr Karsono Kwee, Executive Chairman of Eurokars Group. The unveiling of the all-new Mazda3 which carries North American specifications was witnessed by guests and members of the media. Mr Susumu Niinai, General Manager, ASEAN Business Office, Mazda Motor Corporation, also graced the event. In his speech, he highlighted some of the key attributes and design elements of the all-new Mazda3, including the latest SKYACTIV engine technologies, the new SKYACTIV-Vehicle Architecture and how Mazda plans to reduce average CO2 emissions by 50 percent by 2030. “In design, Mazda continues to explore the essence of Japanese aesthetic sensibilities, pursuing a uniquely elegant and sophisticated style that raises car design to the level of art. Our new-generation design vision models, Mazda RX-Vision and Mazda Vision Coupe won a number of prestigious design awards, showing that Mazda’s new design direction is being well received. Based on these two models, the all-new Mazda3 sedan and hatchback have very distinct personalities. The latest SKYACTIV Technologies based on our human-centered development philosophy are incorporated into the all-new Mazda3. Mazda’s SKYACTIV-Vehicle Architecture was developed to maximize the human body’s inherent ability to balance itself. It offers more comfortable and less tiring driving and enables all occupants to respond quickly to environmental changes, while the latest SKYACTIV engines provide responsive driving in any situation,” said Mr Niinai.